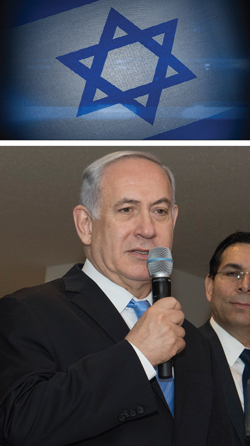 When reports circulated that Israeli Sephardi Chief Rabbi Yitzhak Yosef referred to Black people as “monkeys” during a recent sermon and that Israeli Prime Minister Benjamin Netanyahu equated migrants from Africa escaping war, famine and persecution with “terrorists” the response from members of the American Jewish community to these remarks could be described as tepid at best. Public demands from Black politicians, media personalities and civil rights organizations for Jewish leaders to publicly renounce, denounce and rebuke the rabbi and prime minister or insist that they immediately resign their positions, was virtually non-existent. Nowhere to be found were calls for any Jewish person to condemn and forever disassociate with any fellow Jews who may have ever met or shook hands with, spoken with or was in a room or event with or took a picture with either man. At presstime, there have been no reports of Jewish leaders having capitulated under pressure from Black leaders into renouncing Rabbi Yosef or Prime Minister Netanyahu. The responses to these racist characterizations by Jewish leaders toward Black people has been the polar opposite of the public excoriation of Nation of Islam Minister Louis Farrakhan. The condemnations and media assault came after he pointed out Jewish behavior and conduct that has hurt and been detrimental to the Black community, in his remarks at the Nation of Islam’s annual Saviours’ Day convention in late February. These differing reactions came at no surprise to Dr. Ray Winbush, research professor and director of the Institute for Urban Research at Morgan State University. He also said these types of anti-Black remarks from members of the Jewish community are also not surprising. 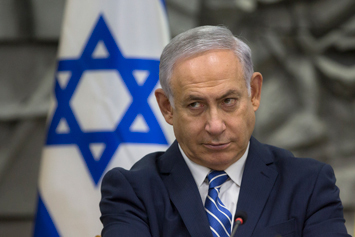 “Strangely enough, those who would readily and I’m talking about Black people—who would readily condemn Minister Farrakhan for what he said seem to not readily be capable or ready to condemn this Israeli Rabbi nor Netanyahu. It’s a double standard to say the least,” said Dr. Winbush. “Concerning White people and the Zionists, they do what they have always done. They want to divide us by asking us to condemn our own leaders,” he added.” Dr. Winbush questions why the Black politicians who condemned the Minister do not collectively ask Jewish leaders to condemn their own leadership. “The Minister doesn’t say the racist things that these guys say. It goes to the heart of how within the system of White supremacy, one of the strategies is deception and deceit. The Zionists have been deceitful and unfortunately their lackeys have been Black people who seem so readily wanting to eat off the crumbs from the table of the Zionists and they won’t condemn this Jewish rabbi simply because of the fact that they’re afraid of their masters,” said Dr. Winbush. In a March 18 sermon, Rabbi Yosef used the derogatory term “kushi” which is a term found in the Jewish collection of laws and traditions—the Babylonian Talmud. Israeli Prime Minister Benjamin Netanyahu (centre) makes remarks during the launch of the exhibit “3000 Years of History: Jews in Jerusalem” at UN Headquarters in New York. He is flanked by his wife Sara Netanyahu (left) and Danny Danon, Permanent Representative of Israel to the UN. “You can’t make the blessing on every ‘kushi’ you see—in America you see one every five minutes, so you make it only on a person with a white father and mother,” the chief rabbi said. “How do would you know? Let’s say you know! So they had a monkey as a son, a son like this, so you say the blessing on him,” he was quoted as saying according to timesofisrael.com. FARRAKHAN SPEAKS: Part 2 of “Have No Fear…The Future is Ours” This Sunday! PRESS RELEASE:: Muslim Designer Carmin Muhammad debuts her Al Nisa Brand Designs at Torino Fashion Week in Italy! The Leader WE Are Looking For Is Right In Our Faces!